Viewing children as agents capable of being active participants and enacting change in their world is integral to the guiding principles of the National Quality Framework and the approved learning frameworks. Children’s rich potential as active agents of change for their environment is integral to 2018 NQS Element 3.2.3 – The service cares for the environment and supports children to become environmentally responsible. 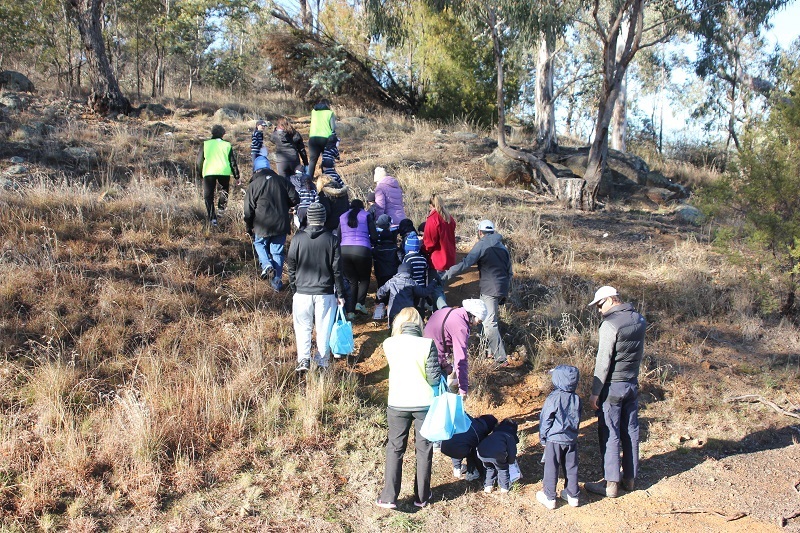 Research and NQS assessment and rating data indicate that some services can find aspects of caring for the environment, and supporting children to become environmentally responsible, challenging. This month, I step you through a number of strategies to support this quality practice. What does ‘environmentally responsible’ mean? education should teach children to respect the natural environment. Responsibly is not passive; it requires engagement and the potential for action. Supporting children to become environmentally responsible requires meaningful opportunities for children to engage in authentic experiences and to be active participants and decision-makers. Responsibility is, therefore, more than physical resources, such as a worm farm or a set of recycling bins. While these can be wonderful experiences for children, responsibility engages at a deeper level. For example, decision-making about maintenance of the worm farm or monitoring of the amount or type of paper going into paper recycling to understand its source. Responsibility engages children in critical thinking, problem solving and action. It might invoke questions such as: What does this mean? What do you think? What could you/we do or change? How could you/we do it? How will you/we know it has changed? 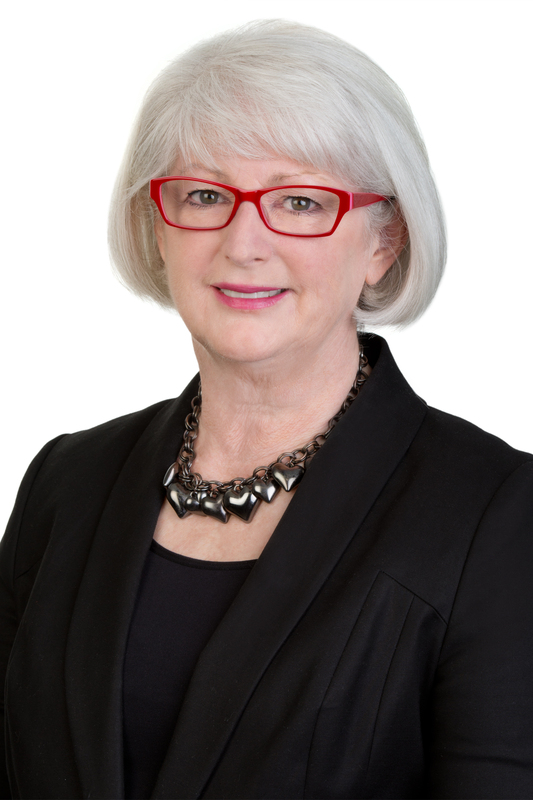 Associate Professor Julie Davis (2015) from Queensland University of Technology describes meaningful environmental education opportunities as more than education ‘IN’ the environment – nature education experiences in the outdoors – or education ‘ABOUT’ the environment – children engaging in the natural sciences, recycling or conservation. Education ‘FOR’ the environment is about understanding human-environment interactions and interdependence and their impact on sustainability. Environmental responsibility focuses on the child and their potential role as citizens and agents of change for sustainability. It is important to also consider that ‘the environment’ is your service and the interconnected environment which may be beyond your doors or gates. The broader geographical, social and cultural environments in your community are fundamentally connected to your service environment. In a rural community, this may include a local water catchment, while in an urban community this could be your neighbours on other floors of the building. Providing children with experiences that allow them to make connections between these environments will enhance their understanding. For example, exploring where a service’s waste water drains or what native bird habitats are available beyond a service’s garden. Environmental responsibility and educating FOR the environment are central to the concept of sustainability. Sustainability has been described as ‘meeting the needs of the present without compromising the ability of future generations to meet their own needs’ or ‘enough for all forever’. However, depending on your personal understanding, experiences, philosophy, values and beliefs, sustainability can be a complicated concept to define. Sustainability will have different meanings to different people. As the environment and sustainability involve ‘big ideas’ and thinking on a scale beyond one’s usual context, it can pose intellectual and emotional challenges. This can be exacerbated when engaging with children, families and colleagues. If personal knowledge, beliefs and values are still forming, how can we confidently support and educate others? Recognising that different individuals will have different understandings and perspectives on the environment and sustainability is a useful starting point for critical reflection. 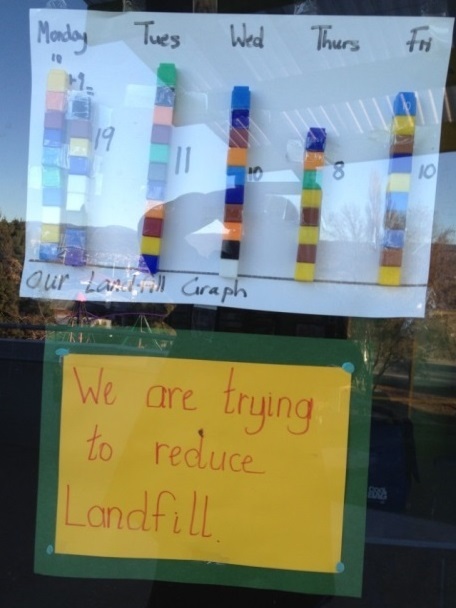 In ‘Inspiring environmentally responsible preschool children through the implementation of the National Quality Framework’ (2017), Krista Pollock, Jane Warren and Peter Anderson from the University of Wollongong have proposed three key ways to support children to be environmentally responsible. It is essential that children are considered as capable change agents. ‘Transformative pedagogies’ that value and build on children’s knowledge and experiences, and provide opportunities for them to participate in real life issues that are important and relevant to them, provides empowering opportunities for decision making and problem solving. Educators who listen to and respect children’s ideas recognise children’s capabilities and help them develop the sense that their ideas and opinions matter. They support children to explore their world, to ask questions, to express ideas and to learn from their mistakes. When children are supported to develop decision-making skills and to make appropriate choices for their own wellbeing, they realise the choices they make may impact on others. When children are given choices and control, they begin to understand the connection between actions and consequences. A ‘whole-of-setting’ approach that involves meaningful collaboration with children, families and community enhances the potential for quality practice. Welcoming, respecting and drawing on the voices, priorities and strengths of all community members will ensure practice is relevant and tailored to the service context. 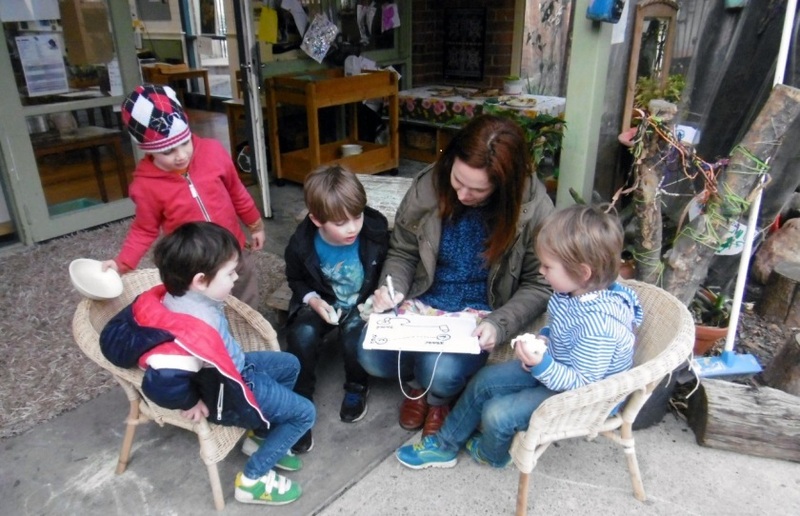 Drawing on sociocultural theory, the researchers suggest encouraging families ‘to reflect on their own early childhood experiences with, and connections to, the natural environment’. Reflecting on personal influences can highlight their potential impact on children’s foundation knowledge and experience. Drawing on home experiences and culturally-valued knowledge can also build communication and connection between home and service practice. This can, in turn, provide insight, perspective, sharing and feedback on environmentally responsible actions. Reflect on your own understanding of environmental responsibility and sustainability and how this has been informed. Reflection can enrich decision making, increase awareness of influences and bias and provide goals for continuous improvement. Supporting your own, ongoing learning journey through professional development, and accessing resources to foster a deeper understanding of sustainability, are also highly recommended. We hope this month’s blog has given you some starting points for your own learning journey. Please access the many resources on the new ACECQA website and those recommended below. We would also love to hear about your own experiences supporting children to be environmentally responsible. What have been your challenges? What are your successes? How have children been agents of change? I encourage you to leave a comment or share your story below. Davis, J. (ed.) (2015) Young Children and the Environment: Early Education for Sustainability (2nd ed. ), Cambridge University Press, London. 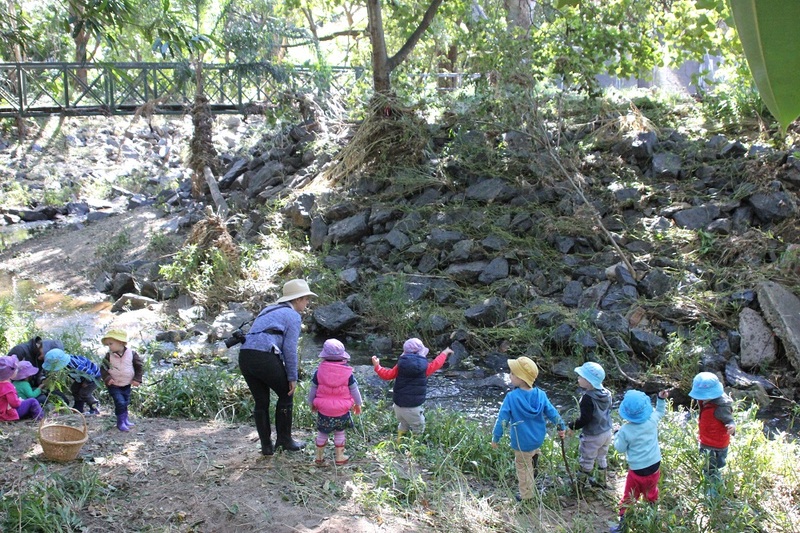 Early Childhood Australia – Talking about practice: Embedding sustainable practices, NQS PLP eNewsletter (67). Pollock, K., Warren, J. & Anderson, P. (2017) ‘Inspiring environmentally responsible preschool children through the implementation of the National Quality Framework: Uncovering what lies beneath theory and practice’, AJEC, 42(2), pp. 12-19. At the moment we are discussing water. Many of our families rely on tank water. On a stroll through the trees and bushes on the edge of our rural kinder children were asking why there was cracks in the ground. This lead to rain. At kinder we measure our rain via a rain gauge and rain chart. We are now looking to connect with other rural drought affected kinders to offer support and to donate some books.